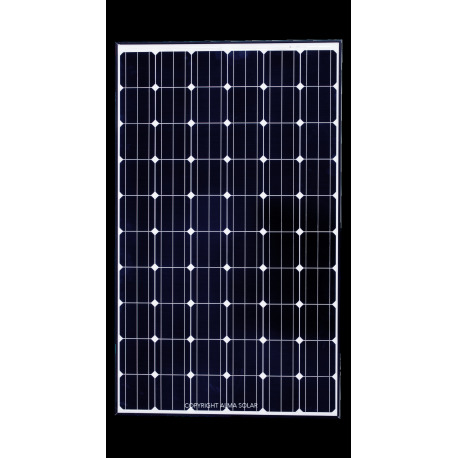 Linear performance guarantee: BISOL BMO-300 solar panels cover the linear decrease. Every year, you can be assured that your BISOL panels display the expected performance curve.the reduction in the second year is only 0.5%. After 25 years, an output power of at least 85% is guaranteed. An innovative and secure solution. High efficiency cell: 60 BISOL mono-crystalline cells are high-tech solar cells. They offer an excellent efficiency of almost 21%. Combining these cells in your installation leaves you with one of the best area performances currently available on the market. Anti-PID treatment: The PID effect is a static charge which builds up between the solar panel's frame and the crystalline cells. After 2 to 3 years, this leads inevitably to a deterioration of the panels and production decrases. Thanks to a special chemical treatment, BISOL cells are guarateed anti-PID for 25 years. Anti-ammonia treatment: There is ammonia in installation on farms or on agricultural buildings. This substance can erode your solar panels. BISOL solar panels are treated in order to prevent any such deterioration. Anti-flammable treatment: BISOL solar panels use a special anti-flammable technology, so you can be confident that no fire will start. Your BISOL solar panels will not catch fire. Anti-salt treatment: Thanks to their high manufacturing quality, BISOL solar panels can also be installed by the sea. BISOL solar panels can be now set up literally anywhere.